K-9 German Shepherd Wants to Go Out! 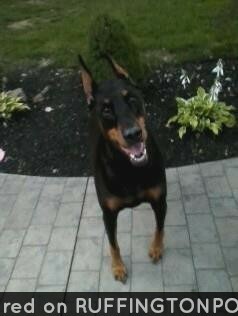 Here is Sandy Caracciolo’s beautiful baby boy Amity who passed away back in 2009. 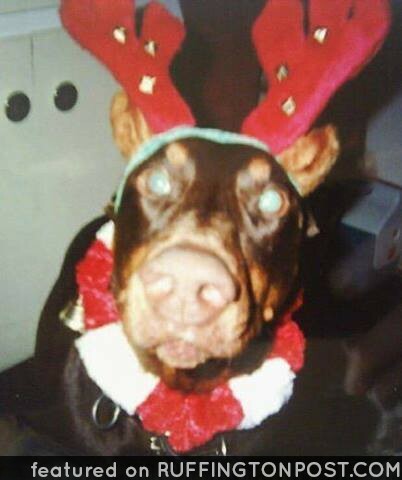 She decided to share this great and only Christmas picture of her Doberman Pinscher with us! 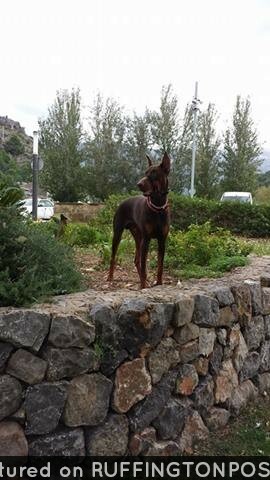 Do you have any holiday pictures of your Dobie?